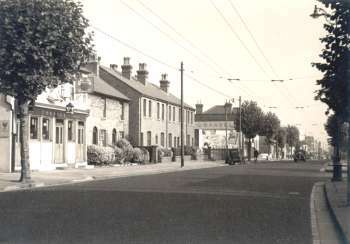 The Duke of Edinburgh public house on the left, looking towards the junction with Gravel Hill. Today the scene has changed totally with both sides of the road having been redeveloped. 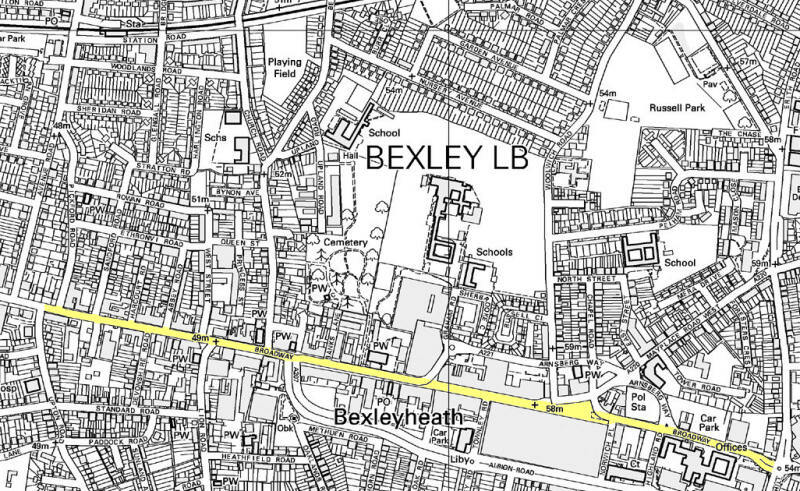 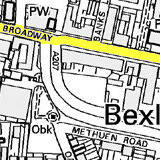 The site of the Duke of Edinburgh and the cottages beyond now houses Bexleyheath's cinema, car parks and restaurants. 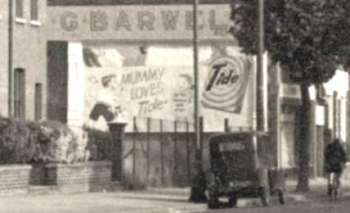 The right-hand side of the road plays host to the Council's Civic Offices, and on the corner of Gravel Hill the old terraced houses have given way to the Marriott Hotel.